I have many strengths, but it seems gardening is not one of them. My first attempt, at least, was pretty much a complete bust. When we moved into our house here in Winston-Salem, I decided I wanted to give gardening a try. That sounded like a nice, domestic, newlywed activity, no? And sustainable and organic, too. Win, win, win. By the time I got around to planting, though, it was early fall, so I began researching plants that do well when planted in September-ish. I arrived at beets, collard greens, and broccoli. So far, so good. I even had an awesome, wide-brimmed gardening hat and some patterned gloves. I was ready. I knew I needed to start small. I didn’t want to get in over my head, after all, seeing as I was new to this whole gardening thing. So I spent a lovely fall Sunday afternoon digging a 3′ x 3′ (ish) plot and getting my three crops planted. And then I waited. And they grew. 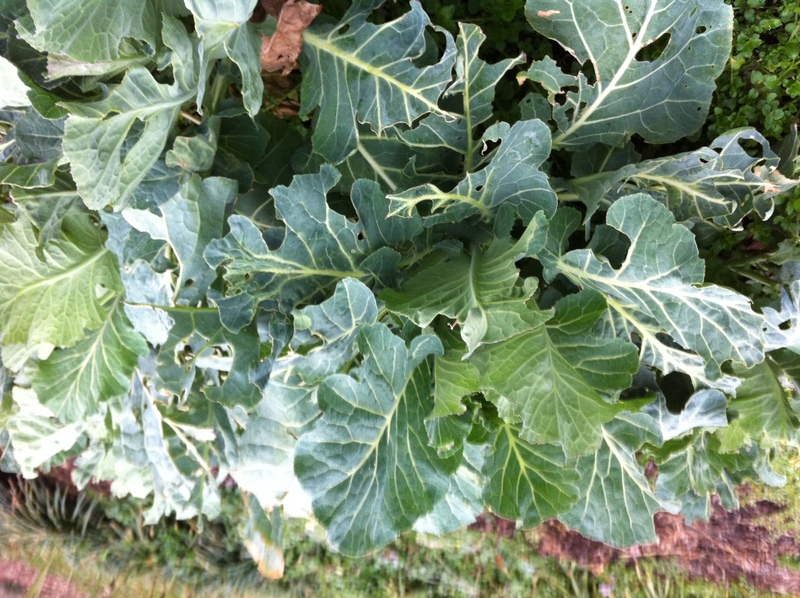 And then bugs started eating my collards, so we sprayed them with an organic plant soap, to no avail. I checked in on my beets every now and then and, despite the lush stems they were sprouting above ground, the beets themselves failed to appear. It was all up to the broccoli — and the broccoli was looking good. One night, thrilled to enjoy the vegetables of my labor, I picked some broccoli for dinner. I washed it and put it in a pot on the stove to steam — then opened the lid to find a huge, gross WORM on the broccoli. I must have missed it while washing, and the boiling water made the bug plump and horribly disgusting. I’m normally okay with the disposal of icky creatures, but I couldn’t handle this one and had to get Kevin to go dump the pot outside. That kind of did it for me as far as the garden was concerned. Kevin, though, was willing to give the broccoli another try and was inspecting it outside one day (a few days after the worm incident). Just as the thought, “Hey! These might be good for dinner,” ran through his head, Fulton came over and peed all over the broccoli. Needless to say, we didn’t eat broccoli for dinner that night, or any other. And so chronicles the complete failure of my foray into gardening. Still, I’m willing to give it another shot (probably with a few more bug-fighting tricks up my sleeve this time), so stay tuned for my springtime attempt. I need to make a slight correction. There were multiple worms–half a dozen or so– that had attempted to flee the broccoli as it started to cook. On the bright side, I am SO thankful we didn’t decide to eat our produce raw. We never would have known!